From the Treasure Islands blog, mildly adapted. "I am particularly grateful to: the City of London Corporation for its financial support and helpful suggestions." "leading international centre-left thinktank and network . . we seek to promote strategic thinking on progressive solutions to the challenges of the 21st century." "A Policy Network Report for the City of London Corporation." Improve further the perception of London-based financial services as a force for growth and jobs across the EU, and as a key asset in an integrated EU Single Market. Upgrade the UK’s presence and leadership in Brussels by building on close ties with like-minded member states. Moving from a reactive to a preventive and agenda-setting position seems particularly paramount in that respect. "have increasingly mixed feelings about capital requirements and levies that risk crippling the economic recovery and damaging the EU’s single financial market." There are some rather highly respected authorities on this subject of capital requirements who would have something to say about this Policy Network's fallacious nonsense. And of course there is no mention of tax havens in there: one of the City of London's prime sources of economic rents. Supporting the City of London through thick and thin: now there's a centre-left agenda for you! Now let's see who the president of this apparent front for the City of London Corporation is. Well, well, well. 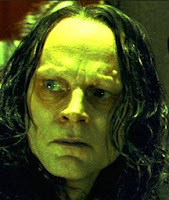 It's none other than Peter Mandelson, former Wormtongue (pictured) of the UK Labour Party! Who is Policy Network's Chair? Step forward Roger Liddle, UK Labour’s front bench spokesperson on Europe, as well as Business, Innovation and Skills in the House of Lords! "Policy Network has been extraordinarily successful in building an international network of progressive thinking. They bring together people with an interest in developing a stronger international movement on the centre-left, helping to compare and contrast the experiences of different centre-left parties, but at the same time building a crucial sense of camaraderie across national divides." If this isn't another example of political 'capture' of the political classes by Big Finance - one component of a much bigger Finance Curse - then I'm Dan Mitchell. “I think taxation is dictated by what economics circumstances require us to do." "The City of London Corporation – the Square Mile’s local authority – is the lobby outfit with the deepest pockets. Bureau estimates, which have been reviewed by academics, suggest that the City of London Corporation spends over £10m on public affairs advocacy and secures remarkable access to Treasury ministers. Freedom of Information documents obtained as part of the investigation show the recently departed leader of the Corporation, Stuart Fraser had contact with the chancellor, George Osborne, and other senior Treasury ministers and officials 22 times in the 14 months up to March this year. Secret City of London documents also show that the millions lavished on banquets in honour of politicians and state leaders are designed ‘to increase the emphasis on complementing hospitality with business meetings consistent with the City Corporation’s role in supporting the City as a financial centre’." See also Tamasin Cave's shorter recent article about this on Open Democracy. Britain's Labour Party - has it still not found its way? The fairest thing I can say, I guess, is that this is just one part of a much bigger Party picture. But if they aren't captured then they are incompetent, to allow this monstrosity through the cracks. "The Blue Arrow trial of 1992, when three senior execs from county natwest were given jail terms of between one year and 18 months for rigging a rights issue. One broker from a firm called UBS Phillips and Drew was also to be jailed. But these convictions were quashed in rather suspicious, or what seemed like rather odd, circumstances: with a very precipitate court of appeal case. The guys were basically let off. On the day the court of appeal verdict was announced, something happened which was that a senior person within the serious fraud office phoned a friend of mine, to tell my friend that from that moment on there would be no prosecutions of high level bankers or city institutions. That might have been where the rot started." This was, admittedly, some time before Labour came into power. And, as Treasure Islands notes, the big, big rot started long before this. But still. Oh, and there's the matter of the BBC. And . . .
Update 2014: Read on Inequality and Democracy here.